Yes, it’s true. I’m not a fan of lists. But when the list is derived from Ernest Hemingway, 1954 winner of the Nobel Prize in Literature and author of books such as The Old Man and the Sea, For Whom the Bell Tolls, and A Farewell to Arms, I will pay attention. Here is Hemingway’s bibliography. 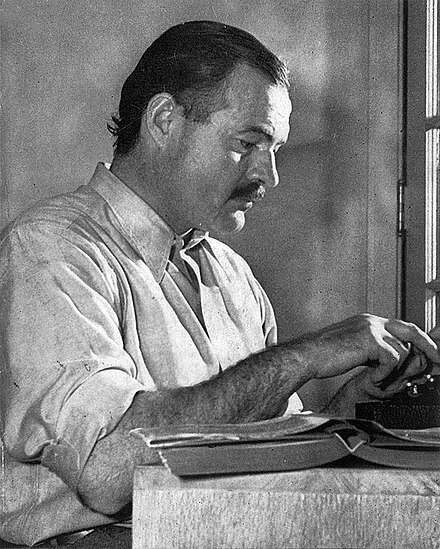 Author Larry W. Phillips analysed Hemingway’s opinions and advice on writing from his various essays, passages and writings, and compiled them into a book, Ernest Hemingway on Writing. The original source of the list below is from Open Culture. They selected seven of their favourite quotations from Ernest Hemingway on Writing and together with their own commentary, derived this list. Most interesting. Good advice; thanks for sharing.